Most Kansans are at least two generations removed from the farm. They often have questions about how food is grown and raised. County Farm Bureaus and members work tirelessly to share the farm story with school children and adults. 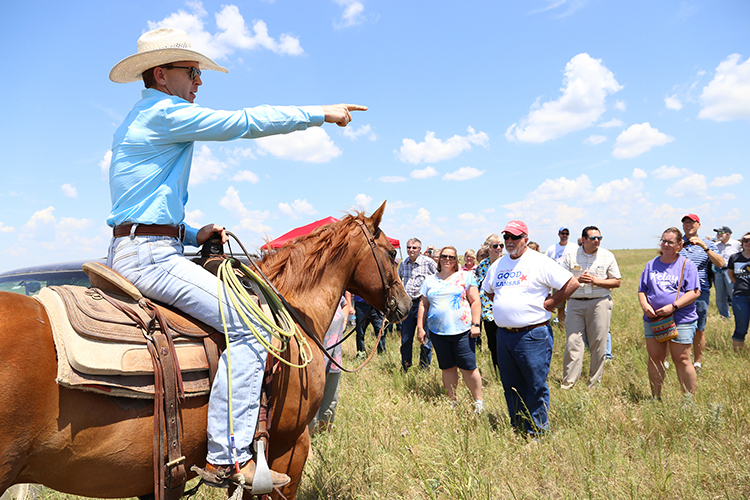 Days on the Farm, bus tours, wildflower journeys, farm-to-fork events, activities at county fairs, advertisements, social media and more provide consumers with a better understanding of where their food comes from, how livestock is cared for and what farmers and ranchers do to protect soil and water. If you're not a Farm Bureau member in Kansas already, join today. Your membership provides access to tools, information and benefits that matter to you, your operation and community. Design: New Boston Creative Group, LLC.